It’s likely many Civilization fans were happy to hear that Firaxis would be releasing an expansion for last year’s Civilization VI. After all, this was another great entry in the series that brought several gameplay improvements to the table, while still offering the same addictive gameplay the series is renowned for. And the game will be growing next year thanks to the release of the Rise and Fall expansion, which amongst other things brings a slew of new civilizations (civs for short) to the game. Amongst these is the Netherlands, whose leader is the charismatic Queen Wilhelmina. But don’t be fooled by her smile though, as the Netherlands in Civilization VI will be a force to contend with thanks to their unique unit, a powerful warship which gets several bonuses in combat. The Netherlands will also get several advantages in the game when it comes to growing its economy, mainly due to its unique improvement, the “Polder”. This allows you to reclaim coastal tiles, turning them into productive land tiles, something that could really come in handy if you end up building a city in a location where limited land is available. Also, and reflecting the Netherlands status as a trade power throughout history, any trade routes you establish in the game will help increase loyalty in the starting city (loyalty is one of the new gameplay concepts introduced by the Rise and Fall expansion). Meanwhile, any trade routes you set up with a foreign power will grant additional culture, meaning getting those trade routes up and running should be one of your first priorities when playing as the Netherlands. 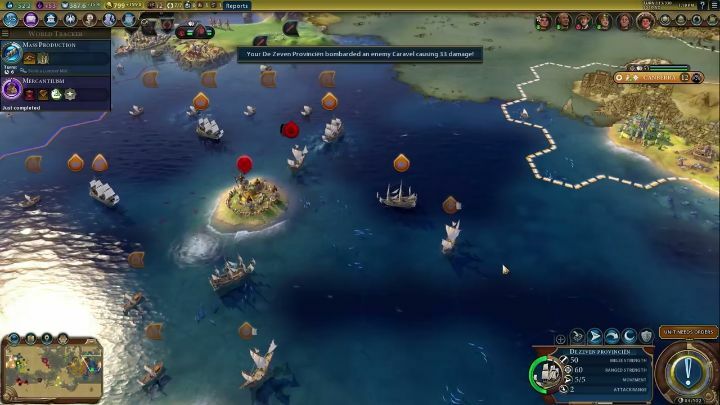 Plus, you will also want to build certain districts such as Campuses next to rivers, as you will also get bonuses if you do so when playing as this civ. The Netherlands is the second civ Firaxis has announced for the Rise and Fall expansion (it earlier announced Korea would be joining Civilization VI’s roster of civilizations), and hopefully it will be as much fun to play with as the others featured in the game to date.